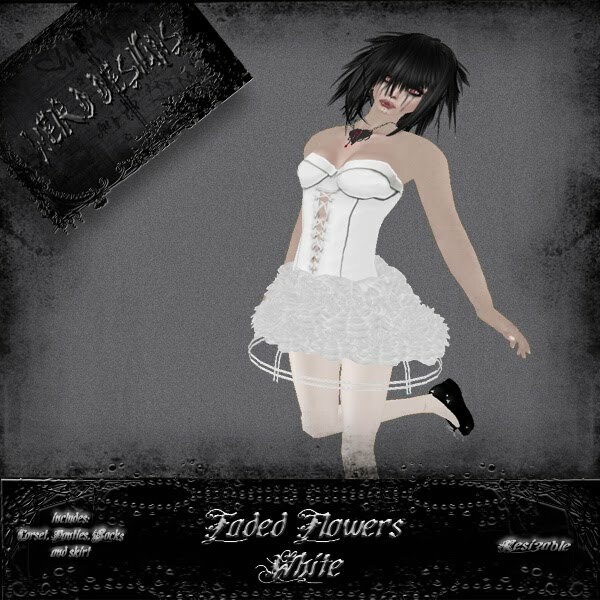 Another Woeful Wednesday ;) And i have a new 50L item for you at the mainstore only for today..
Oh and i made a new dress in Black & White, it comes with a sculpted skirt with crinoline.. 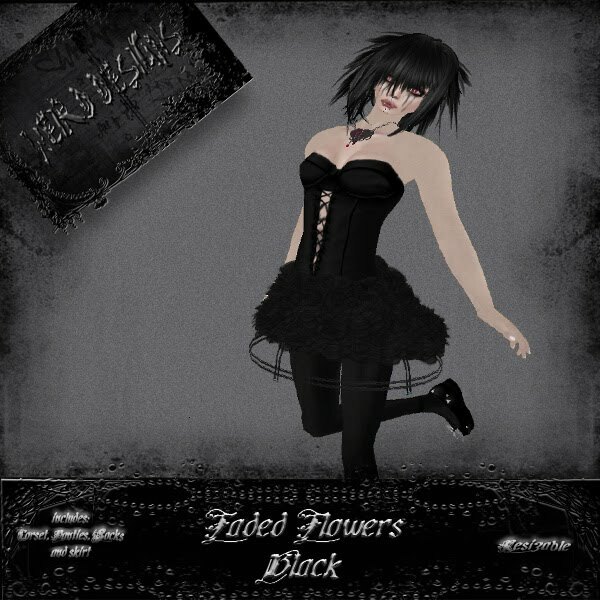 I couldnt find time to come online earlier to show you the new skin i made for the woeful wednesday and it costs only 50L! You have still time to get it,you can find it at my mainstore.. It comes with a very cute corset, sculpted skirt and ripped striped socks.. The skirt is resizable via script, you can easy fit it to your shape..